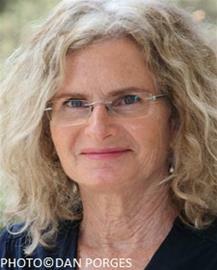 Dorit Kellner was born in Rishon LeZion in 1959 to a family of educators. Fascinated by both literature and science, she eventually chose the latter and studied toward a PhD in chemistry at the Technion – Israel Institute of Technology, in Haifa. Following a post-doctorate in Canada she returned to Israel, established a home in the Galilee and since then has held senior positions in Israeli industry. In 2010-2011, she attended a creative writing workshop with poet and novelist Shimon Adaf. Kellner's first novel, Valleyplast, was awarded the Ministry of Culture Prize for Debut Book (2015).